In 2016 I fished the Delta Wine Region of the Best Bass Tournament Trail. It was a up and down season, My Partner Bob Miller and I just didn’t really have any great finishes, but we did manage to finish 3rd in the points for the AOY Race. The Delta has been so up and down for me over the years. I win a lot of practices and I get teased about that plenty, But in 2016 at the Championship I got the last laugh! 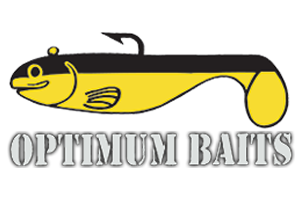 I was able to put 2 solid days together and it was good enough to win the 2016 BBT T.O.C we had 21.80 on day 1 with a 8.55lb Kicker fish the biggest Bass of the Event and we had 21.28 on day 2 with 4 Solid fish and a 2lber. I really didn’t think it was enough to win, I felt like we needed 23-24 Lbs on day 2 to win. The BBT and its Staff did a great job keeping us in suspense right to the end. I spent as much time on the Delta as I could , from May thru summer into Fall. I was determined to win a Championship , its a bucket list thing! Right? So every chance I got on the weekends to hit the Delta I did. I fished Wild West Pro-Am ,BBT, UFC, Snag Proof Open, Tracy Bass, and The River2Sea Open. It was a odd year for me, I was catching more quality Bass in the 3 lb range than I had in a long time, but the 7,8 Lbers were non existent for me. I was able to find key areas punching that had Bites. They sometimes would be 2 Lbers and other times they were 3’s with some 4’s , but no Big ones. As I kept at this , These areas always put a solid fish in the boat, and then I finally got a few Big Bites, but I could not get the fish out of the Heavy Cover and would go home Scratching My head. 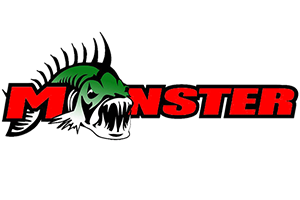 Finally in the Championships the River2Sea Trash Bomb and Various Craw baits with a new Faster Tipped 7-11 ABU Garcia Villian Rod made the difference! The Big Bites came, and they all went in the live well. My Partner Bob Miller and I had been chasing a Championship for years and we came close once in Second Place, we never forgot that Feeling. Finally The Monkey is off my Back and We won a Championship and $20,000.00 Dollars! Thanks to the BBT for Hosting a great event. Thanks to all of my Sponsors for your Support! Thanks to my Partner Bob Miller. Most of all Thank my Mom for getting me into fishing as a kid!